Antenova from Cambridge, UK, has come up with an innovative radio that doesn't require switches or active tuning, yet supports a wide range of LTE frequencies, making it perfect for smartphone usage. Best of all, it has a lower Bill of Materials cost than the active solutions, says Greg McCray, the CEO. We assume he means mainly Qualcomm's radio, which comes packaged in the Snapdragon S4 chips, since it is the most widely used on the market now when it comes to hooking your phone up to LTE networks. The goal of a truly global LTE smartphone imposes great challenges on the antenna system. While the current majority of LTE user devices operate in the 700MHz band, which has been heavily driven by the US market, rollout of LTE networks in other regions now require devices to operate in the LTE frequency bands utilised in those markets as well. This is why Antenova created A10453, which it says covers the gamut of frequencies - LTE 700, GSM850, GSM900, DCS1800, PCS1900, WCDMA2100, LTE B7 (2.5-2.69GHz), LTE B38 (2.57-2.62GHz), and LTE B40 (2.3-2.4GHz). Qualcomm also recently cracked the code of creating a truly multimode LTE antenna, so there's starting to be some healthy competition in this area, and before we know it, our slim and fast smartphones might also be able to hook up to most 4G networks globally, regardless of the ragtag frequencies they are using. Nice! As more pre-paid servicers show up in the US, i'll leave the on contract gimmick. We need 4G LTE roaming agreements first among the carriers here in the U.S and I don't see that happening anytime soon Unless some company cries to the FCC so they can piggy back ride on the larger 4G LTE network. 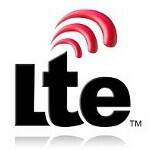 Makes me wonder what chip the Optimus LTE 2 is using for all those basebands.